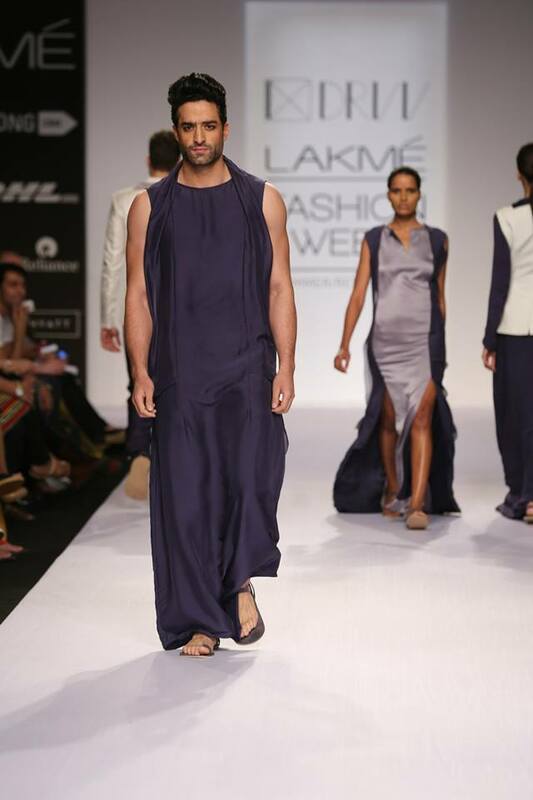 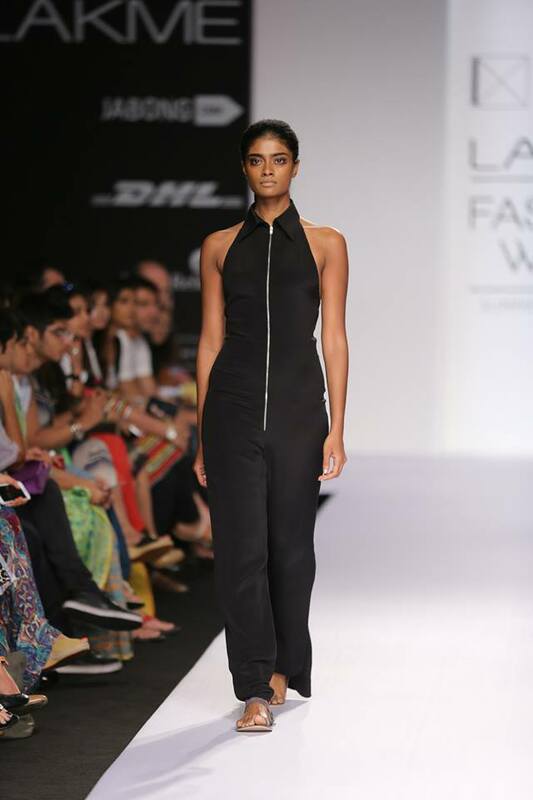 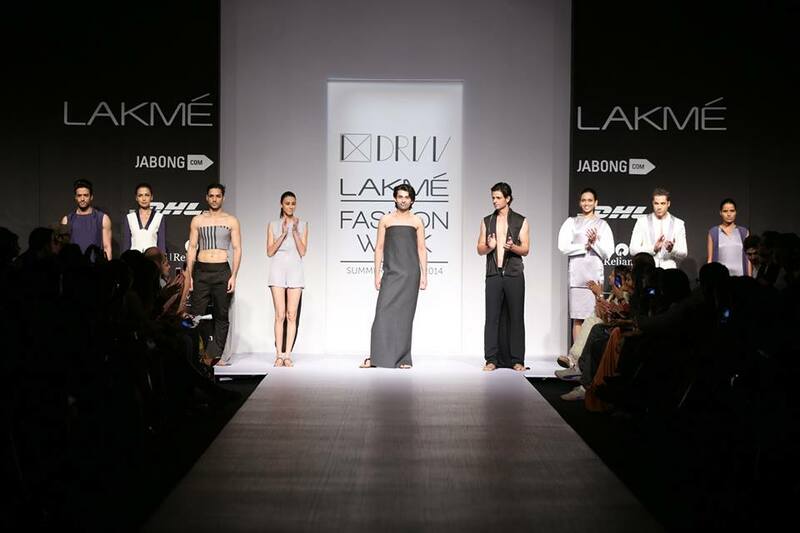 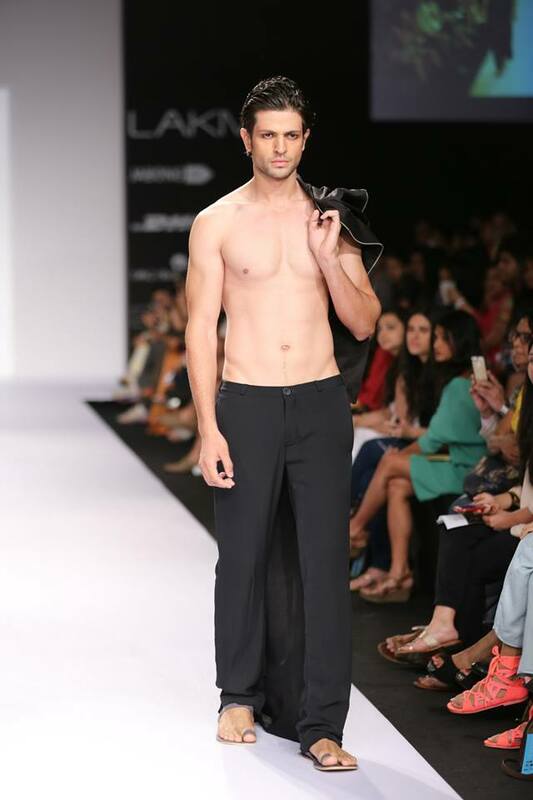 Under his Label DRVV, young designer Dhruv Kapur presented his Summer Resort collection at Lakme Fashion Week. 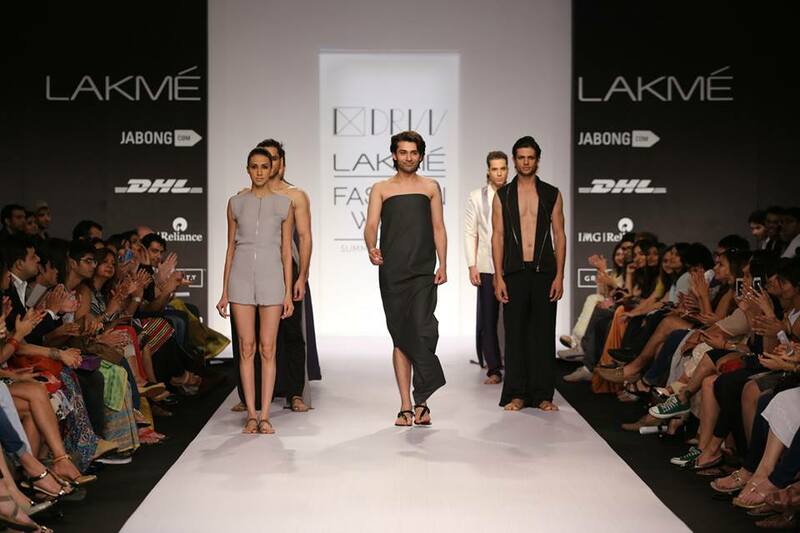 The collection reflected duplicity and duality in monochromes. 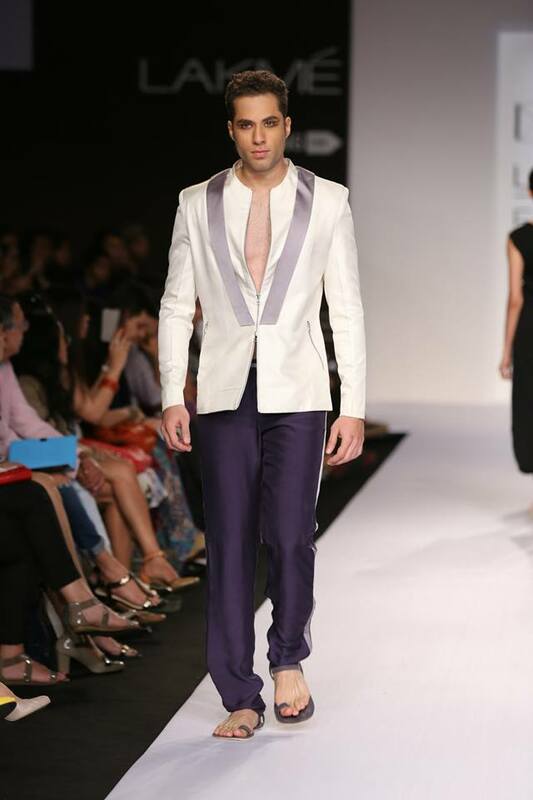 The designer played unsafe with unconventional detailing like double waistbands and lapels along with detachable sleeves. 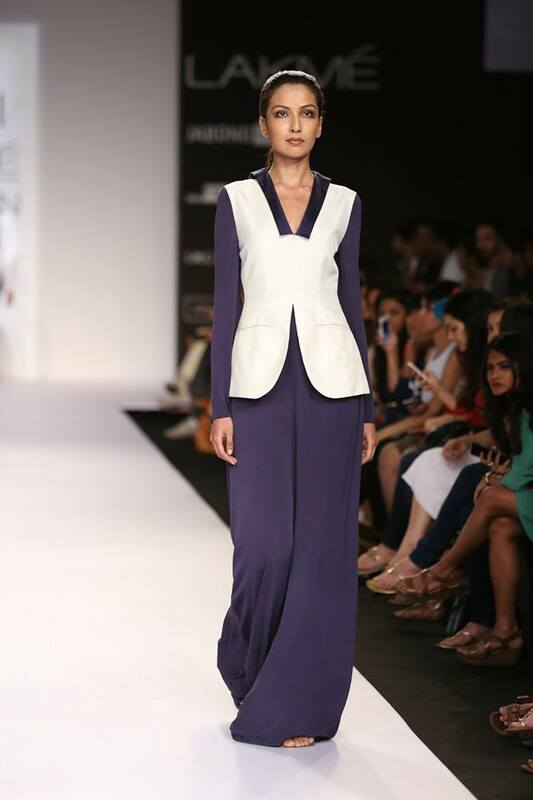 The two faced garments with more interesting design elements, like coat back jumpsuit, skirt back trouser, and trail dress took over the ramp. 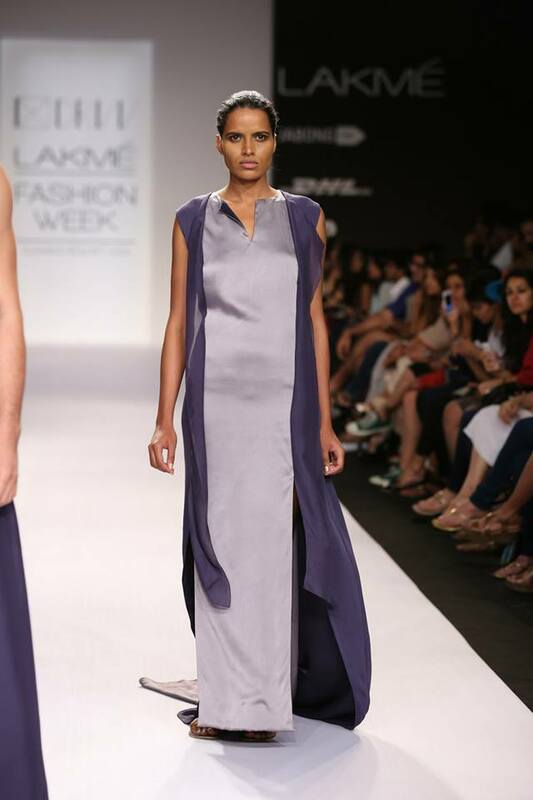 The silhouette was created from the fabrics like double sided crêpe, georgette, cotton sateen, organza and silk flat chiffon. 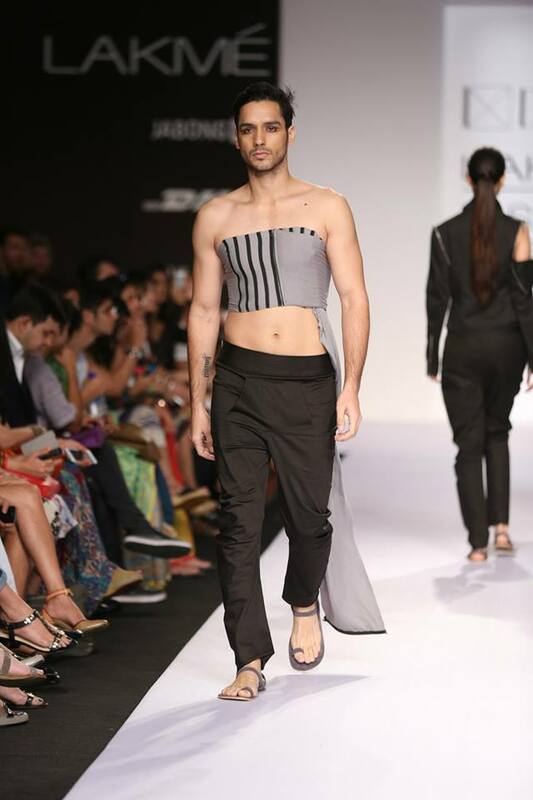 The French cuff and built in bow shirt also form a part of these 12 garments collection.